Finding the best algae eaters for betta tanks can be confusing. There are so many different ones you can choose, but then you need to take into account their individual needs, whether your betta will get along with them, what size tank they need, etc. After reading this article you’ll be able to pick out the perfect tank mate for your betta. And one that’s also going to be algae eating machine! To make this as simple as possible the list will be in ascending order going from smaller tanks to larger tanks. However, you may be wondering why there aren’t any algae eaters for 2.5 gallon tanks. It’s because a tank that size is really too small for a betta, so the worst thing you can do is increase the bioload even more. If you currently have a 2.5 gallon tank then you should upgrade to a 5 gallon tank as soon as possible. Check out some of the best 5 gallon tanks for bettas! Here are the best algae eaters for a 5 gallon tank. However, remember, that you can also add them to larger tanks if you want. There really is no minimum size for any fish or invertebrate. Bigger is always better! Cherry shrimp are some of the smallest algae eaters on this list, however, they’re still going to do a great job of removing algae. Because of their size, they’ll be able to get to places you and other algae eaters can’t get too. 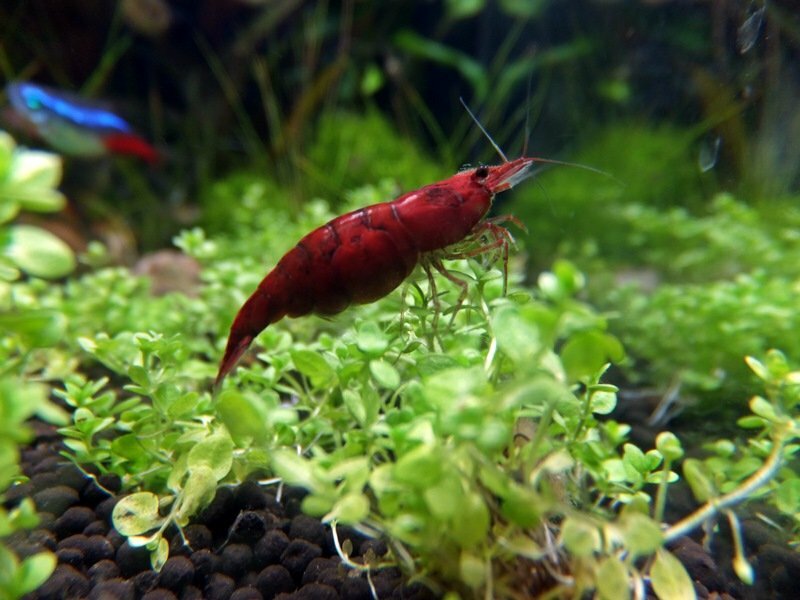 If you plan on adding cherry shrimp remember they can live for 1-2 years before dying and grow up to 2 inches in size. You can keep up to 5 cherry shrimp per gallon of water in an aquarium. Cherry shrimp also don’t need any specific parameters to survive in your tank. As long as you keep the temperature between 57 – 84°F and the pH level between 6.5 – 8 they’re going to do just fine! And as long as your cherry shrimp are both sexes, the water conditions are good, and they’ve got a food source then they’ll breed with no problem. However, caution must be taken when adding cherry shrimp because if they’re too small your betta may seem them as a snack. Ask for the biggest ones in the aquarium and before adding them to your tank make sure there are lots of hiding places for them. You will also notice that they shed an exoskeleton every so often. If you see this, leave it in the tank where they’ll consume it for the healthy minerals it contains. And lastly, cherry shrimp aren’t going to require a lot of upkeep. Just feed them a small algae wafer or some blanched vegetables once a week. Asides from that they’ll eat all the algae in your tank. If you don’t fancy cherry shrimp then why not try a Ramshorn snail. They grow up to 2cm in length and love eating algae. One of the best things about ramshorn snails is that if your aquarium has enough plants in it then they don’t tend to eat live plants. However, with that in mind, they are animals, so you should be prepared for them to eat through your plants. Especially if they’re beginning to die. Another thing you’ll need to be careful of is the fact they can reproduce quite quickly. If you notice this happening then you should add some assassin snails to your tank (or your betta might eat the babies). If you take good care of your Ramshorn snails then they can live for up to a year. But if you add a few to your tank you won’t need to worry about buying more as they’ll naturally reproduce. Because of how quickly they reproduce it can be hard to say how many you should keep in your tank (and you’ll probably lose count). However, you should start at 5 and then remove them when you think they’re overcrowding your tank. When you do add ramshorn snails into your tank you should make sure that the pH level is between 6.5 – 7.5 and the temperature is between 70 – 80°F. Fortunately, Ramshorn snails have a tiny bioload so they’re not going to have a huge effect on the quality of your water. If you don’t fancy Ramshorn snails then why not consider Nerite snails. They look just as interesting (maybe even a little more so) and they’re voracious algae eaters. However, while they may be better at eating algae than Ramshorn snails, they do come with their problems. First of all, you’re going to need to cover your tank if as they will definitely have no problem climbing out. And on top of this, while they don’t lay eggs as often as Ramshorn’s, but they do like to lay eggs everywhere, so you should do your best to remove them unless you want a few in your tank. Taking care of Nerite snails is simple, just make sure there’s enough algae in your tank. They’ll even eat algae off the substrate! 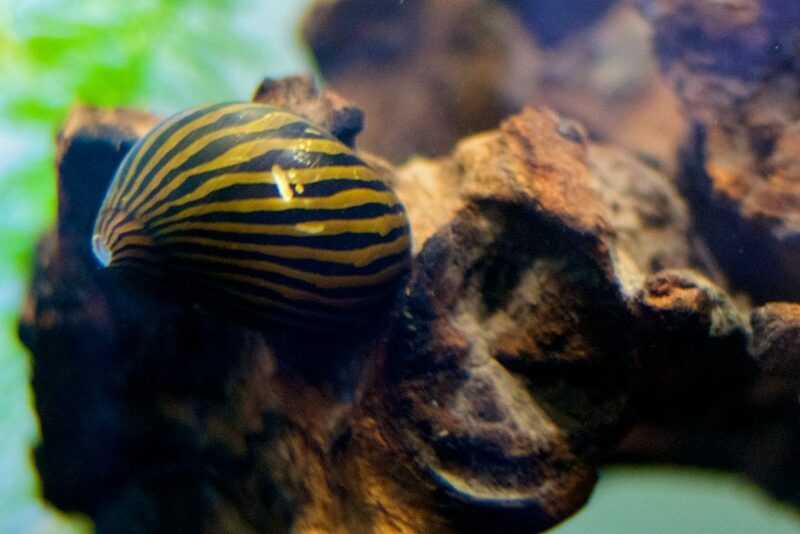 If you’re keeping nerite snails it may be best to avoid loaches who will try to eat them. And lastly, you should make sure that the temperature of your tank is between 70 – 80°F and a pH level between 7 – 8.7. Moving away from snails you could try Amano shrimp. One reason Amano shrimp are great tank mates is because of their size. Most shrimp make good algae eaters, but because of an Amano shrimps large size you don’t have to worry about them being eaten by other fish in the tank, including your betta. Amano shrimp are also great beginner shrimp because of how good they are at surviving. In fact, if you have enough algae in your tank you’re rarely going to have to supplement their diet. That being said adding the occasional algae wafer or blanched zucchini once a week is going to make them extremely happy. You should also make sure you’re providing them with lots of live plants and hiding places. Not only is this going to make them feel more at home but when it comes to molting they’ll have plenty of places to hide until their strong exoskeletons return. The only downside with Amano shrimp is that they aren’t the most interesting looking shrimp. They’re clear and often have stripes and spots running up their flanks. And once again, you need to be cautious when adding any new creature into your tank. While your betta should be okay with them, it’s common for bettas and any fish to see shrimp as food, especially after they’ve molted. You can expect your Amano shrimp to grow up to 2 inches in length and live for up to 2 -3 years. They also survive best in a temperature between 68 – 86°F and a pH between 6.5 – 7.5. Learn more about amano shrimp. If you’re leaning more towards snails over shrimp then you should definitely consider Malaysian trumpet snails. Malaysian snails can be comfortable in small tanks and large tanks alike. However, if you’re housing a betta then you should always keep them in at least 5 gallons. One of the best things about Malaysian trumpet snails is the fact they rarely eat live plants. However, that doesn’t mean you shouldn’t have a lot in your tank. Your trumpet snails diet is going to consist mainly of algae in your tank but they’ll also eat any plant matter that has fallen to the substrate. They normally tend to ignore live plants unless there’s no other food source in the tank. Another great thing about Malaysian trumpet snails is the way they look. They can grow up to 2cm in length, and as you can guess their shell somewhat resembles a trumpet. The shells also come in a variety of different colors and patterns! The chances of your betta seeing your Malaysian trumpet snails as a threat are also low, so you don’t have to worry about him attacking them either! If you’re going to keep Malaysian trumpet snails then you should remember that like most snails they are going to breed extremely quickly. Especially in tanks that are warmer. So bearing in this mind, you should start with fewer snails than you actually want. And once you think there are too many in your tank you should add a couple of assassin snails to get rid of some. And lastly, if you don’t see your trumpet snails moving around much in the day it’s nothing to worry about because they’re a lot more active at night. And last on the list is ghost shrimp. If you’re not sure how your betta is going to react to other tank mates, then you should definitely start with ghost shrimp. They’re also known as feeder shrimp, so if your betta does have a hostile temperament then you’re not going to waste a lot of money on more expensive shrimp such as Amanos. While ghost shrimp aren’t as effective at eating algae as cherry shrimp and Amanos, they’re still good at it. And they’re particularly fond of hair algae. So if that’s the algae you have in your tank then you should think about adding a few ghost shrimp! If you are going to keep ghost shrimp you can expect them to grow to about 1 and a half inches in length and live for up to a year. They’re also going to need a tank temperature between 72 – 82°F and a pH level between 6.5 – 8. And when you’re adding ghost shrimp to your tank make sure you’re adding 2 – 4 at a time and never add them alone. They’re social creatures and they’ll become lonely otherwise! When you get to 10 gallons you can add a few more interesting species to your tank. You’re no longer just limited to shrimp and snails. You can begin to add some bottom dwellers to your tank as well as a few more fish. Here are algae eaters you can add to a 10 gallon betta tank. Corydoras catfish are a great algae eater to add to your tank, especially with a betta. They prefer to live at the bottom of the tank where a betta will stay at the top and in the middle. Not only this but their skin is also covered in a boney armor, so if your betta does try to attack them it’s not going to do much. So you don’t have to worry about them getting hurt. Corydoras catfish are going to grow an average size of 2-3 inches which is why you’ll need to keep them in a slightly bigger tank. And while you can keep a corydoras catfish on its own it’s always better to keep them in groups of 4-6, because they’re very social. So if you plan on adding Corys make sure you add at least 4 which will bring a 10 gallon tank up to its maximum bioload, including your betta fish. 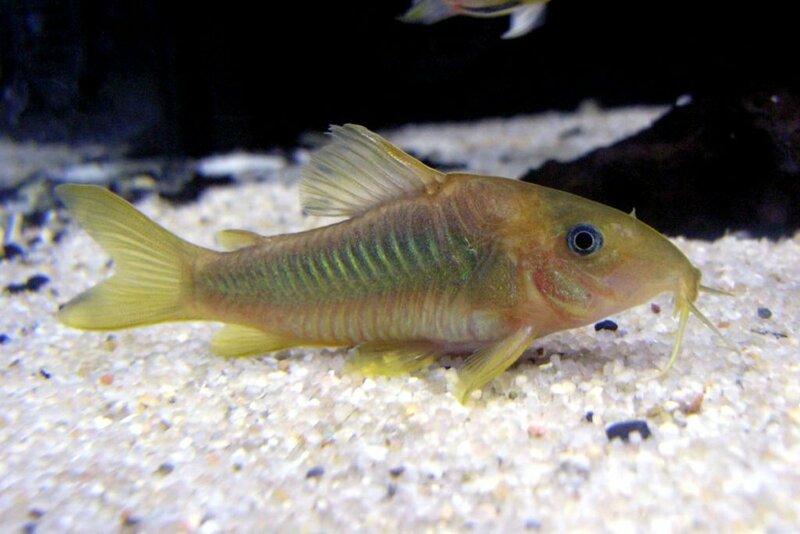 One thing you should be aware of is that corydoras catfish aren’t going to eat algae at the same level as shrimp snail and other algae eaters. Rather they contribute to keeping algae under control. But if you keep reading you’ll learn about other great bottom dwellers that love algae! And if you’re a beginner fish owner then they’re a great choice. They’re hardy fish, that don’t require much attention, so you don’t have to worry about accidentally killing them. Corydoras catfish need a pH between 7 – 7.8 and a temperature between 70 – 78°F, the criteria that bettas need to survive also fall within this range. Lastly, if you’re going to keep corydoras in your tank you can expect them to live up to 5 years. Learn more about Corydoras Catfish. You may have heard that guppies are incompatible with betta fish, however, this isn’t entirely true. If you keep female guppies with male bettas, their dull colors and lack of flowing fins means that they’re not likely to be seen as a threat. However, just like Corydoras, they won’t solely live off algae. While they can help clean it up you’re still going to have to feed them a variety of food to make sure they’re getting enough nutrients. But don’t let that put you off. You’ll be surprised how much algae you notice them eating. One big thing you need to be aware of is the fact that guppies are live-bearers. This means they’re going to produce live offspring in your tank. This is a nice snack for all the carnivores in the tank (Such as your betta) however, if any survive to adulthood then it will cause the bioload in your tank to become high. And of course, because of a bettas temperament, you’ll need to be careful before introducing guppies to the tank. Guppies live comfortably in waters with a temperature between 74 – 82°F and a pH level between 6.8 – 7.8. Both of which are a bettas ideal parameters fall between. If you keep guppies you can also expect them to grow up to 2.5 inches in size and live for up to 2 years, which is considerably shorter than your betta. Learn more about how to keep guppies with bettas. 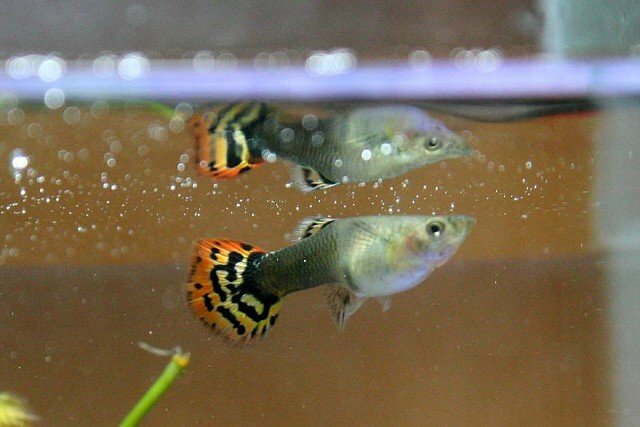 Similar to guppies, you could also try endlers livebearers. While they are similar to guppies you will notice some slight differences. First of all, they don’t have the same long flowing tails that guppies have, and while they’re colorful, they’re not as bright as guppies (especially the females). 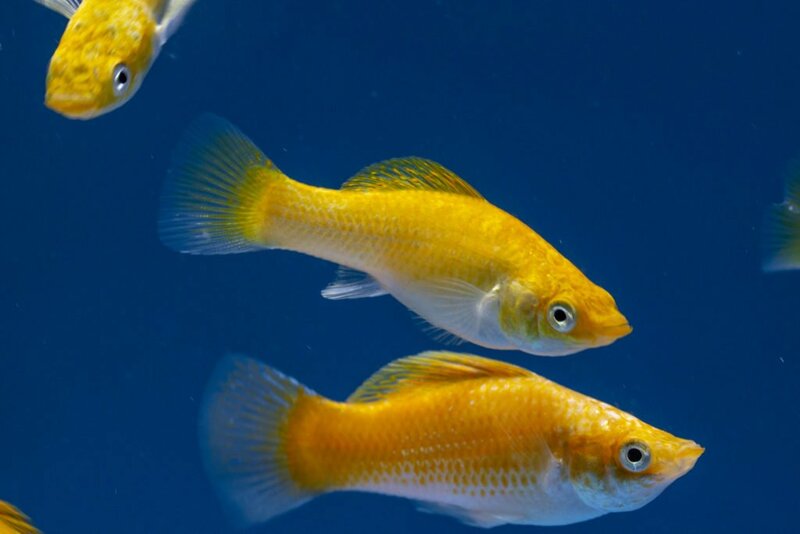 Endlers livebearers also aren’t predominantly algae eaters, they will need to be fed fish flakes, live food, etc. However, even when you’re not doing this you’ll often notice them grazing on algae in your tank. So while they’re not going to be the best algae eaters they are great for maintenance. If you’re planning on keeping endlers livebearers in your tank make sure you’re providing them with lots of hiding places. Whether your betta is going to attack them depends on his temperament, but if it is going to happen, you want them to have somewhere to hide until you can figure out a more permanent solution. Endlers livebearers are hardy fish so they’re going to be just fine in the water parameters that your betta needs. But if you are curious then they need a pH level between 5.5 – 8 and a temperature between 64 – 84°F. 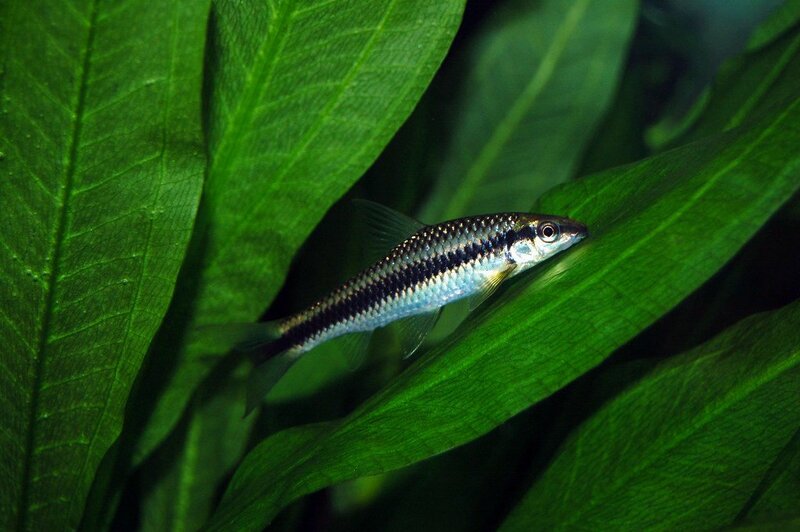 They’re slightly smaller than guppies only growing to just under 2 inches in length and they can live for 2 – 3 years. 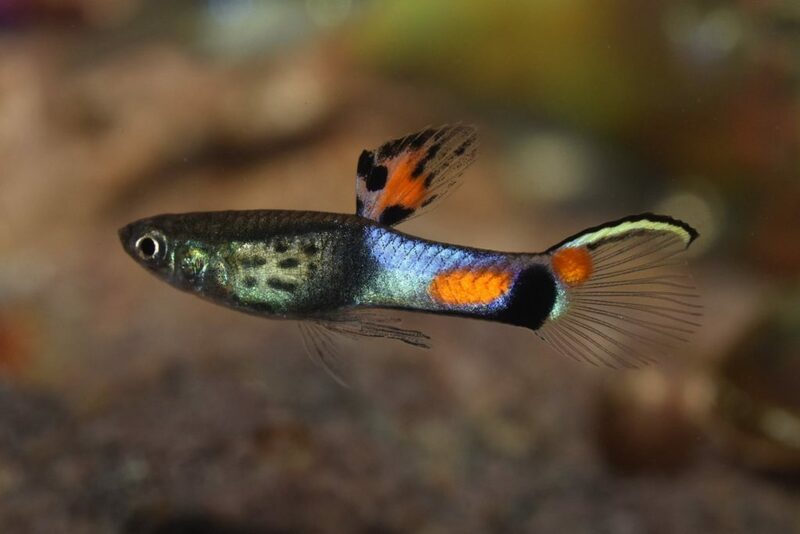 If you plan on keeping endlers livebearers, as the name suggests, they’re going to give birth to live fry. Your betta should eat these fry (which will make a great nutritional meal for him) however, you should have enough space to house any fish that lives to adulthood. If you have a 20 gallon tank, that’s when you can start adding a lot more interesting fish to your tank. You’re no longer limited to shrimp and snails. You can also choose from a variety of livebearers and catfish as well. If you can get hold of a couple of twig catfish, they’re going to make short work of any algae in your tank. While they’re going to need to have their diet supplemented, most of their nutrients can come from algae. If you plan on having twig catfish then you’re going to have to keep them in pairs. And each pair will need 12 gallons of water to thrive. However, because of their large size, it’s best not to put them in a tank smaller than 20 gallons. This will give them plenty of room to swim around and graze. Because of their docile and peaceful nature, you need to be sure your betta is passive and not aggressive before you add them to your tank. 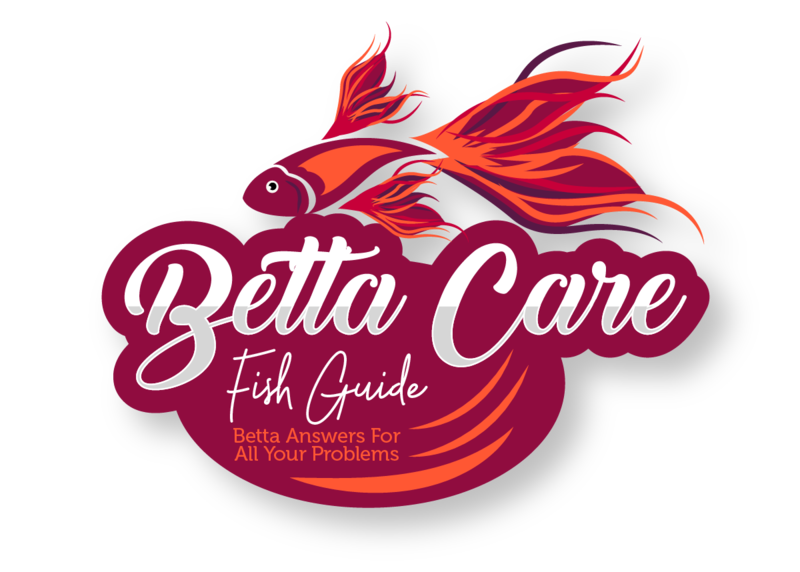 They are vulnerable to any attacking fish, so if you’re not sure how your betta will react, then it’s best to avoid them. You may also wish to avoid twig catfish if you’re a novice fish keeper as they require a little more care than other fish on the list. If you’re going to keep twig catfish then you’ll have to make sure the water parameters are good for them. They need a pH between 6 – 8 and a temperature between 75 – 81°F. Twig catfish can grow up to 4 inches in length and live up to 15 years. However, because they are more delicate than other fish, the chances of this happening are slim. And one interesting little fact is that their not suckermouth’s like a lot of catfish. Rather they forage along the bottom of the tank looking for food. While they can eat algae, you’ll also need to supplement their diet with algae wafers, and vegetables as well. Another great beginner fish which require minimal effort are mollies. However, it is important to note, that mollies aren’t going to get rid of loads of algae, however, they can put a dent in it. If you’re looking for the best algae eating molly then a black molly is your best bet. They’re great at removing a lot of algae from your tank, however, their food will need to be supplemented with other types of food including meat, alive or frozen. Because of their lack of a flowing tail (and color in the case of black mollies), your betta will rarely see them as a threat to himself. However, as always, due diligence is still required if you have a particularly aggressive betta. One thing to take note of is the conditions they need to survive. You need to make sure the temperature of your tank is between 75-80°F and the pH is between 7 – 8. However, if it falls slightly under 7 you don’t have to worry too much. And remember, you don’t just have to stick to black mollies. There are a lot of fantastic looking mollies including golden mollies, and dalmatian mollies as well! Learn more about mollies and bettas. at 25 gallons you’ll be able to add bristlenose plecos to your tank. However, if you do plan on doing this make sure the bottom of the tank has plenty of room and they’re not going to be fighting for territory. 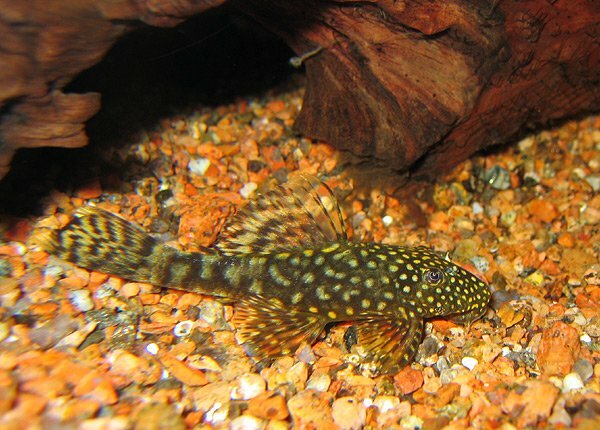 Once again plecos are great at eating algae but it shouldn’t be their only source of food. Although they’re going to have a mostly plant diet (most of which consisting of algae), you should also supplement it with protein too. Adding freeze-dried or frozen food such as daphnia and brine shrimp is a great way to do this. As well as that you can also add sinking algae wafers every once in a while to make sure they’re getting enough food. One of the reasons bristlenose plecos make great tank mates for bettas is the fact they’re bottom dwellers. Because your betta is going to spend most of his time at the top and middle of the tank, the chances of him feeling threatened by a bristlenose pleco are extremely slim. So he’s going to be less likely to attack! If you’re going to keep bristlenose plecos in your tank then you’ll need to make sure the pH level is between 6.5 – 7.5 and the temperature is between 60 – 80°F. They can grow up to 5 inches in length and live for 5 years. Their size is one of the reasons they’re going to need a larger tank. Remember, they’re also docile and naturally peaceful, so if your betta is aggressive it’s still best to avoid adding them to your tank. 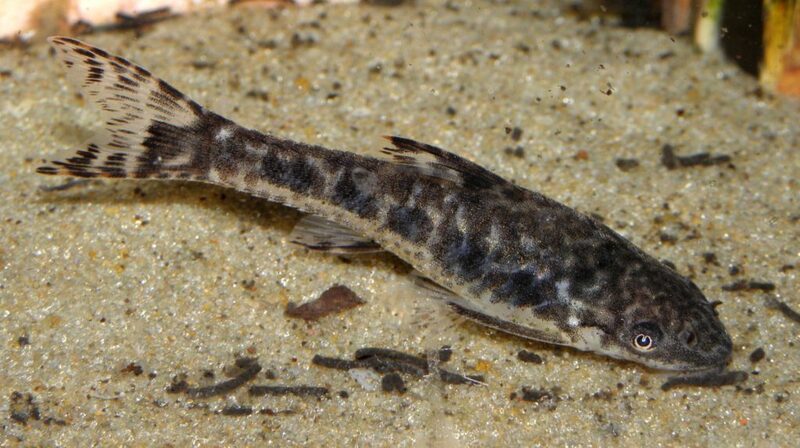 You may not have heard of a Siamese algae eater (SAE) before, and the truth is they’re not the most common fish you’re going to see. However, they do make exceptionally good algae eaters. One of the reasons SAEs are so great is the fact they’re going to eat algae off of plants, without eating the plant itself. So they’re the perfect clean-up crew. And as you can tell by their name, their main type of food source is algae. Whilst you should still supplement their diet, if you add them to an aged tank they’re going to be extremely happy. One thing you should be aware of is that while SAE’s are voracious algae eaters when they’re young, as they get older they start to prefer pellets etc. If you’re going to keep SAEs it’s best to keep them on their own or in large groups of 5. Otherwise, they’re going to end up fighting and being overly territorial. However, while you can keep one on its own in a 30 gallon, a group of 5 is going to need at least 40 gallons to be happy. And if you do plan on keeping a group of them together, you should avoid adding red tail sharks to the mix as they often attack each other. And another thing to be wary of is the temperament of your betta and the SAEs. While they inhabit different parts of the tanks you may notice the flying foxes trying to nip your betta’s fins if he gets too close. SAE’s can grow up to 6 inches in size and live for up 10 years. This is one of the reasons you need to keep them in a big tank. On top of that, to give your SAE’s the best chance of survival you’ll need to keep them in temperatures between 75 – 79°F and a pH level between 6.5 – 7. Also, make sure you don’t mistake Siamese algae eaters for Chinese algae eaters. While they look similar, Chinese algae eaters are a lot more aggressive. While otocinclus are quite small catfish (only growing to 2 inches) they do need a large tank to roam and it’s always best to keep them in groups rather than on their own. However, while they’re small that doesn’t mean they’re not going to do a great job at cleaning your tank. You’ll often notice them swimming around in a group all foraging the floor looking for algae. You shouldn’t add them to a new tank however, because they need an aged tank with lots of algae in it to be truly happy. When it comes to keeping them with your betta you’ll soon find out that they’re extremely docile peaceful fish, to the point they’ll only run away. So if you think your betta is going to be aggressive then make sure you don’t pick these fish. One thing you do need to be aware of is the fact that when you first add them to your tank there’s a strong chance a lot of them will die. The sudden change in water parameters often takes a toll on them, however, if they survive the initial introduction then they’re going to be hardy little fish. When adding otocinclus catfish to your tank you should try to match the parameters of the tank they’re coming from to ensure the best chance of survival. However, if you can’t find this information out then they can survive in a temperature between 70-80°F and a pH level between 6 – 7.5. If you do buy otocinclus catfish you can expect them to eat all your algae for up to 3 – 5 years which is their general lifespan. Learn more about otocinclus catfish. If you’re not sure you can keep your betta with fish then you can also try adding a rabbit snail to your tank. 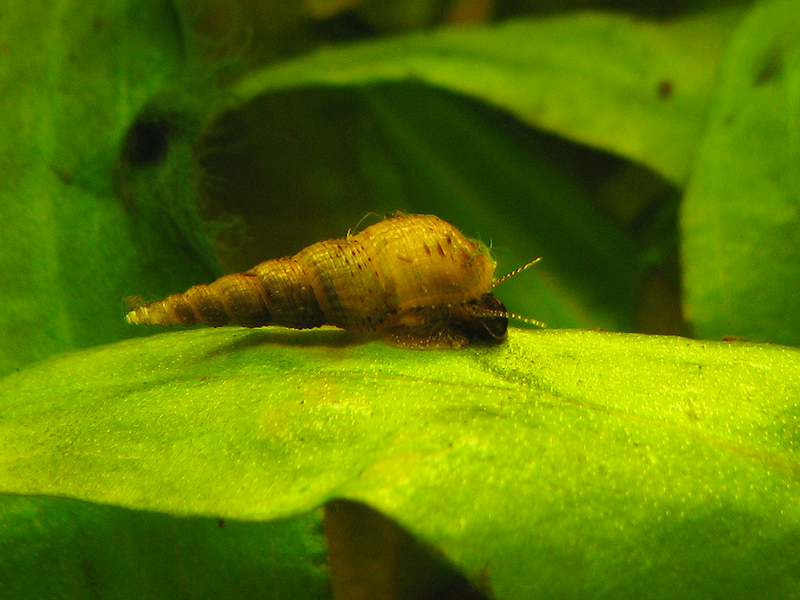 Rabbit snails are going to eat any algae that’s in your tank and they should avoid most types of live plant as well. However, if you have java fern they have been known to nibble on it. Likewise, if they run out of algae then they’ll start eating the live plants in your tank as well. And you may be wondering why you should be keeping a rabbit snail in a tank so big. Well, the truth is that they’ll be alright in tanks as small as 10 gallons before they’re fully grown. However, when they do reach their full size it can often be 5″. If you keep them in a tank that’s too small, not only will they be unable to roam, but they’re likely to run out of food quite quickly as well. Another great reason to add rabbit snails is that they aren’t fast breeders. Your tank isn’t going to become overrun when you add rabbit snails. In fact, they breed at a similar rate as assassin snails. Just remember, if you do have snails in your tank you have to be especially careful about any medications or fertilizers you’re adding as they could be poison. Another thing to be aware of is that you’ll have to raise the pH level a little in your tank. While a betta likes a pH of 7 rabbit snails need a minimum of 7.4. But both should be fine somewhere in the middle of the two. 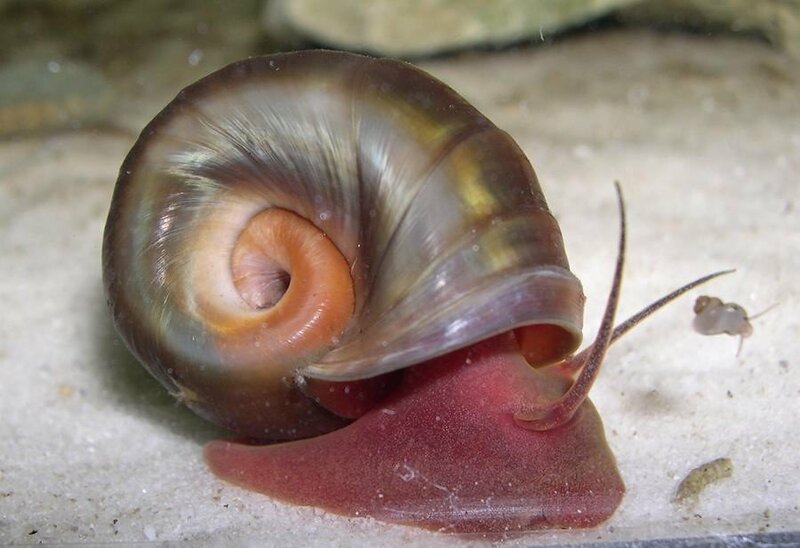 You should also keep the water temperature between 76 – 84°F for your rabbit snail as well. While you can keep bristlenose plecos in small tanks, other plecos are going to need a lot more space. One of the best reasons to get plecos is because they want the exact opposite of everything bettas want. 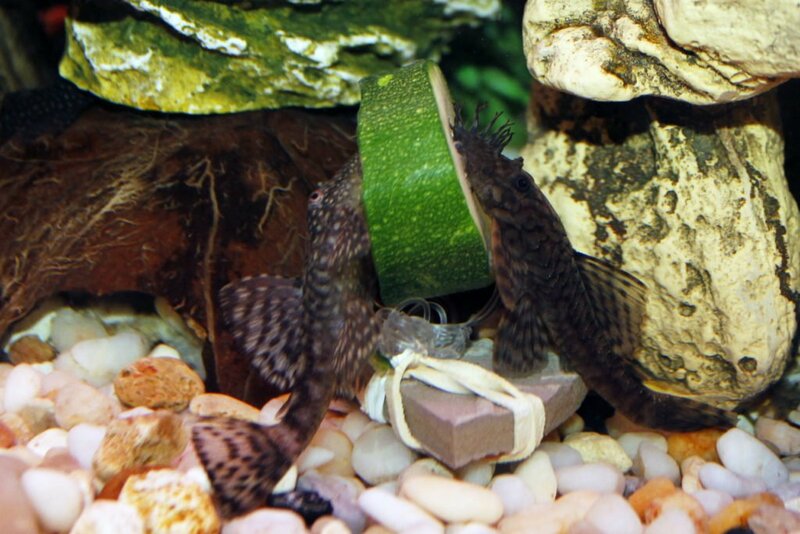 While bettas like a meaty diet, plecos love a plant-based diet and foraging off the gravel and sides of the tank. And while bettas like to roam the top and middle of the tank your pleco is going to prefer to stay at the bottom and sides. Plecos are also amazing algae eaters. You’ll always notice them stuck to something as they’re removing algae to consume. And it’s not just algae they eat either, they love all sorts of plant waste. If you are going to get plecos then you should stick to rubberlip, pit-bull and clown plecos, as they grow smaller than a lot of their counterparts. If your betta is particularly aggressive you can even add a Plecostomus without too much worry. When they’re full size, they have spines that stick out of them which will deter your betta from attacking them. 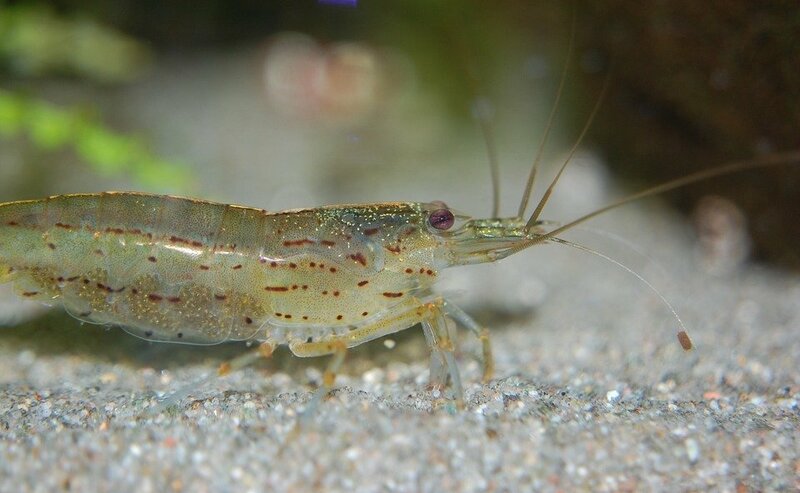 Bamboo shrimp aren’t as commonly seen in the aquarium trade, however, that doesn’t mean they’re not going to be the perfect algae eater for your tank! And there’s one thing that really separates them from a lot of other algae eaters. Instead of eating algae from the plants and substrate, they filter feed from the water currents. Because of this, you need to make sure that there’s enough current for them to catch algae from. They’ll also need about 20 gallons per shrimp to be happy. And of course, it’s always good to keep shrimp together. So you should keep at least 3 in a 55-gallon tank. While they’re not the most productive shrimp on the list they’re still going to help remove algae. And their interesting features are unlike any other shrimp you’ll see in the aquarium trade! As you can see there is a whole range of great algae eaters you can add to your tank! And while each of them will make a great addition, you should take into consideration the size of your tank as well as your own personal preference. If you like this article make sure you check out the rest of the website!